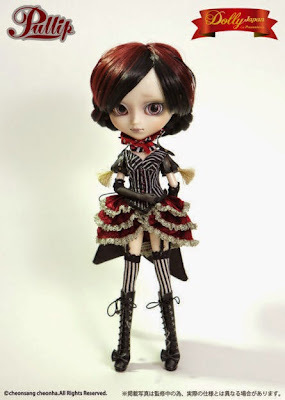 Coming in late February 2015, Pullip Laura depicts a gothic circus ringmistress. She wears a very short red velvet skirt with white lacy ruffles, knee high black boots, striped stockings, arm warmers and a neck ruff. Read this blog post for info on the origins of the doll (Something to do with the cover of Dolly Japan magazine). 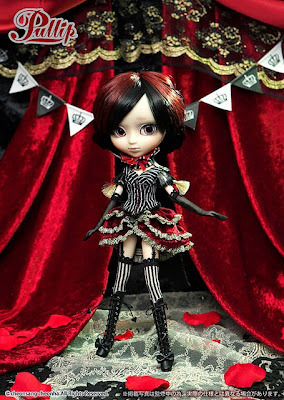 "Laura" is likely the first in a line of circus-themed Pullip dolls.